Meraas Holding, a Dubai state-owned property firm, has signed up VRstudios, a leading virtual reality (VR) company, to provide wireless VR experience at Hub Zero, the first immersive entertainment park in the Middle East region. Headquartered in Bellevue, Washington, VRstudios is the industry’s premier company offering a collection of unique capabilities to the entertainment and commercial enterprise industries, through its unprecedented platform and turnkey systems. It is a specialist in providing wireless, full-motion and multi-user VR experiences for entertainment and enterprise customers. VRstudio’s installation represents the first and only wireless VR experience to be provided for the immersive entertainment park scheduled to open next month. An ambitious project being developed by Meraas, Hub Zero will offer innovative experiences created in partnership with leading game developers including Electronic Arts, Capcom, Konami, Microsoft and Square Enix. 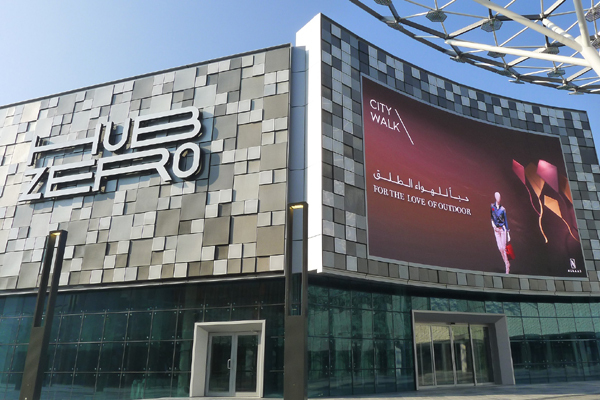 Targeting visitors aged 10 and up, the hitech indoor entertainment destination includes thrilling rides and attractions developed exclusively for Hub Zero located at City Walk, a dynamic open-air shopping and entertainment destination in Dubai. Based on world-renowned intellectual properties in the gaming industry, the park delivers a truly unique gaming experience, utilising the latest in cutting-edge virtual technologies. “When many companies are only talking about the possibilities of VR, we are delivering to enterprise customers around the world. It is rewarding to see how our distinct capabilities are recognised and valued by world-class companies, such as Meraas,” he added. Herrick pointed out that VRstudios is providing real business solutions and significantly transforming numerous industries, such as entertainment, aerospace, health care, construction, and architecture and design. VRstudios’ technology architecture allows its customers to continuously adapt and take advantage of the newest breakthroughs in VR, he noted.